I got My Bad On T-shirt – T-Shirt is expertly and exclusively designed for the Candy Lady. They are made of 6.1 oz., 100% preshrunk cotton with a jersey knit. These shirts will delight any Breaking Bad fan. 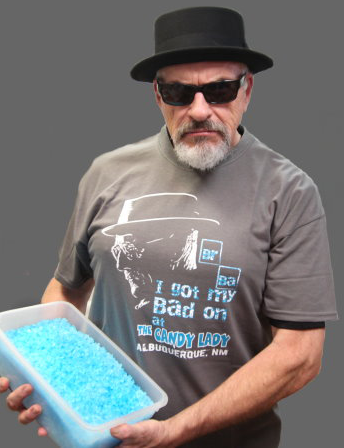 Don’t forget the breaking bad candy.